“Our team is honored to receive this recognition of environmental stewardship. For 30 years we have implemented responsible business practices by focusing on green technologies and committing to green programs," states Ted Mischaikov, CEO of Healthy Pet. Washington-based Healthy Pet, an innovative leader in wholly sustainable pet products, has been awarded the prestigious 2016 Northwest Clean Air Agency's (NWCAA) Platinum Award for achieving the highest standards of air quality compliance and sustainability. As a founding member of the Pet Industry Sustainability Coalition (PISC), Healthy Pet supports active, happy, and natural pet product solutions, creating a more ecologically beneficial environment and an enriched relationship between pets and their family. Healthy Pet’s product offerings and leadership demonstrate an accelerated commitment to a growing consumer base seeking natural products from a range of brands that demonstrate a high level of corporate responsibility. For more information about Healthy Pet, its commitment to corporate excellence through sustainability, please visit http://www.Healthy-Pet.com. Healthy Pet®, founded as Absorption Corp 30 years ago, is proud to offer natural bedding, food and litters that allow pets to live WHOLLY INCREDIBLE™ lives. Healthy Pet brands include: carefresh®, Critter Care®, ökocat™, Simply Pine™ and Puppy Go Potty™. 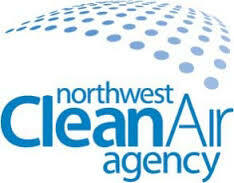 The Northwest Clean Air Agency is responsible for enforcing federal, state, and local air quality regulations in Island, Skagit, and Whatcom counties. In addition to permitting and regulating industrial sources of air pollution, the agency offers information and services related to asbestos, climate change, indoor air quality, outdoor burning, woodstoves, and fireplaces.